Whether its long or short term accommodation you require, Knights Lettings have properties to suit you. We can arrange a viewing for any property that interests you, and after that the procedures are straightforward. You will need to supply Knights with details of referees. Advance rental payment and rental deposit will be required, however our team will guide you throughout. Moving in will be straightforward and stress free. Renting a property is an exciting prospect and for many is the first step to gaining some independence. Below are a few steps to help you get started for the renting process with Knights Lettings. If you have any questions our team is always on hand to help and advise. Browse through our website or visit us at our office on High Street in Barry and speak to one of our friendly team who will help you find suitable properties. We can help you find the right property to suit your criteria and your budget. Once you have found the properties you like, we can arrange viewings for you at your nearest convenience. Once you have found the property you would like to rent, you will need to complete an application form which can be collected from the Lettings Office or sent via email. When renting any of our properties there is a small agency fee to be paid when completing your application. This covers the cost of referencing and credit checks. Knights are covered by the Client Money Protection with NALS. Once the application and credit checks have been completed you may now start planning a move-in date. Your moving day is here! Simply, pop down to the Lettings Office to finalise everything by signing the tenancy contract and paying the bond and first month’s rent. The bond is kept in a tenancy deposit scheme so is 100% safe. 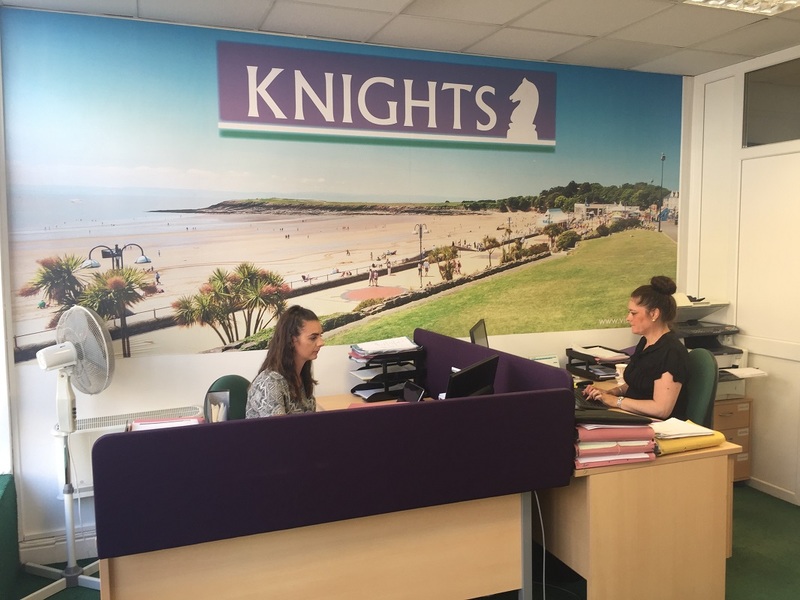 If you are looking for a professional, reliable local letting agent in Barry rent a property from, get in touch with Knights Lettings today, and one of our lettings team will be happy to help.